The ICQC-104 Module is now open for registration from 4 through 6 October. ICQC-104, Mixed Motifs with Fabricis expected to last 8-12 weeks; and will start on 7 October, so you should be on the class blog by then. There is no special supply list needed for this class. Standard sewing and embroidery supplies (as needed in prior classes) will be used. The need for some medium or heavy weight interfacing scraps and some thin felt/flannel scraps could require some shopping. The photos above are some of the techniques taught. 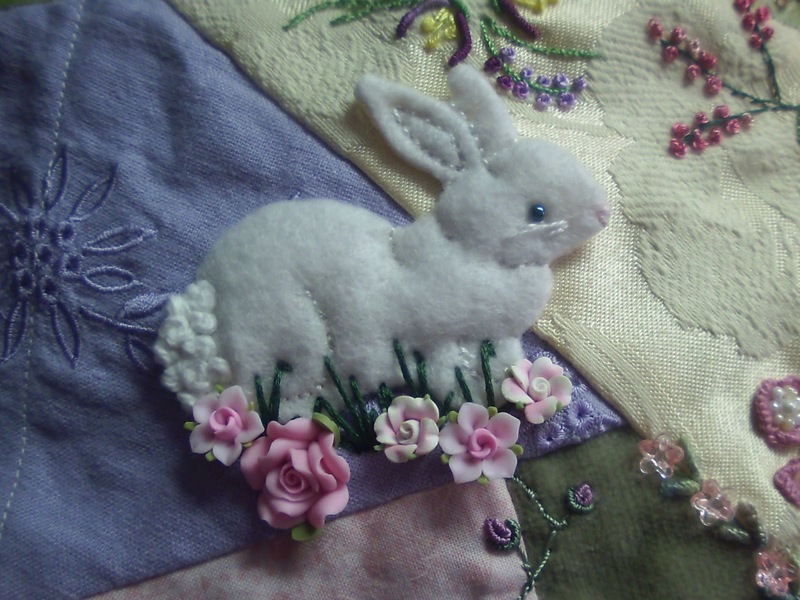 The fox, bunny, and heart patterns are also in this course, along with other patterns as well. 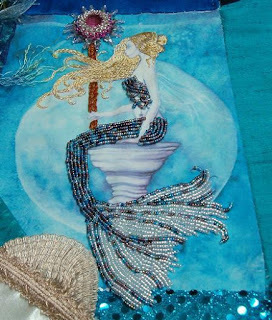 The mermaid silkie is an example of the over-stitching of hair...but you can use any printed image you want to try this technique. As with all prior classes...an invitation to the course blog will be sent to you after you register. Watch for this in your email inbox so you will be ready to begin the class on Friday. This was such a fun class ~ I just found a few of these little rabbits I made when in your class. I hope many students take this module with you.